Join us on Friday, March 22nd, 2018 at the Wright-Dunbar Interpretive Center for our next Speaker Series engagement. Randy Zuercher and Ann Armstrong-Ingoldsby will speak on their skydiving experiences. Ann is a University of Dayton graduate who holds a Skydiving D license. Randy, a graduate of the Ohio State University, holds a C license with over 500 skydives. Randy is also the curator of the Aviation Trail, Inc. Parachute Museum and is an Instructor Jumpmaster at Greene County Sports Parachute Center. Join the Paul Laurence Dunbar Branch of the Association for the Study of African American Life and History for a special event on seven women who helped shape Dayton’s history. The program will start at 2:00 pm and be held at the Wright-Dunbar Interpretive Center located at 16 S. Williams St., Dayton, OH 45402. Learn about the women’s lives through this two part program of lectures and activities, including poetry, dance, and song. The first portion of the program will take place in the theater and will begin at 2:00 pm, and the second will follow in the building’s second floor conference room starting at 3:15 pm. This event is free and open to the public. Gather at the Woodland Mausoleum at 9:45 a.m. as we lead you to the grave site of Paul Laurence Dunbar. Join in as tribute and prayer are given and sing Amazing Grace as a wreath is laid upon his grave. Then join us at the reception immediately following in the Mausoleum. 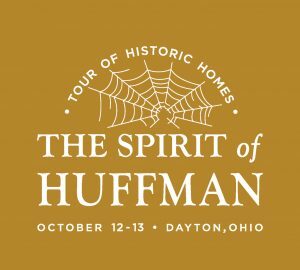 Guests will include members of the Dayton Dunbar Alumni Association, Dayton Aviation Heritage National Historical Park, Paul Laurence Dunbar House Historical Site, Dayton History and Woodland Cemetery. Refreshments will be served. This program is free and open to the public. Parents and home-schooled children are encouraged to attend. Woodland Cemetery and Arboretum announced that it has received a $1 million challenge grant from the James M. Cox Foundation. The grant is part of the organization’s capital campaign, which is raising funds for the restoration and preservation of three historic structures on the cemetery property. These 130-year old structures are listed on the National Register of Historic Places, and the cemetery, itself, is listed as a National Historic District by the U. S. Department of the Interior. “Within six months, we exceeded the $1 million goal for matching, meeting the challenge terms of the grant” said Huffman. The Cemetery board approved a multi-phase capital campaign; phase one is for $3.5 million and will ensure the complete restoration and preservation of the historic Chapel, front gates and administration building. The Chapel houses a one-of-a-kind Tiffany hand-cut tiled floor, seventeen Tiffany windows and painted Tiffany frescoes on the walls. The Chapel also has original woodwork cut and installed by the Barney and Smith Car Company from Dayton. 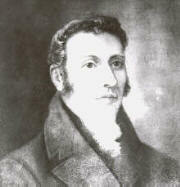 The James M. Cox Foundation has ties to Woodland Cemetery as the namesake of the Foundation is buried there. 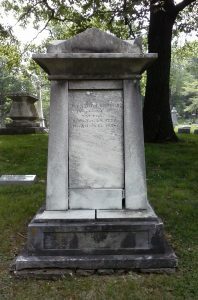 James M. Cox, three-term Governor of Ohio and 1920 Democratic candidate for President, is located just steps from other Dayton notables such as Col. Edward A. Deeds, Loren M. Berry, John H. Patterson, Charles F. Kettering and the Wright Brothers. Cox Enterprises was founded in Dayton in 1898 when James M. Cox purchased the Dayton Evening News (now the Dayton Daily News). Through Cox Media Group, the company also operates WHIO Ch. 7, WHIO Radio News, 95.7 and AM 2910, K99.1 FM (WHKO) and 95.3 TheEagle (WZLR) in Dayton. The Woodland Arboretum Foundation continues to seek donations from the community and the families of those resting peacefully at Woodland Cemetery. 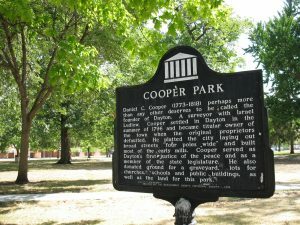 “We are confident that the Dayton community will come together to save these important historic buildings that grace the entrance of our 175-year-old cemetery,” said Huffman. 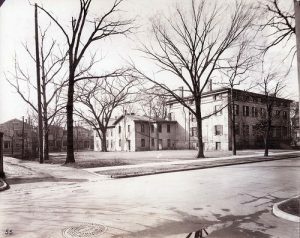 More information about the cemetery and the campaign to restore the historic buildings and how to give your support for the project can be found at Woodland’s website at woodlandcemetery.org. Woodland Cemetery and Arboretum sits in the heart of downtown Dayton on over 200 verdant acres of rolling hills with over 3000 trees on the property. This historic cemetery, founded in 1841, welcomes thousands of visitors who tour the grounds each year to visit the grave sites of inventors of powered flight, Wilbur and Orville Wright; poet Paul Laurence Dunbar; Matilda and Levi Stanley, Queen and King of the Gypsies; writer Erma Bombeck; Gov. James M. Cox; inventor Charles F. Kettering; and entrepreneurs John H. Patterson (NCR); George P. Huffman (Huffy Bicycles); and George Mead (Mead Paper Co.). The James M. Cox Foundation is named in honor of Cox Enterprises’ founder and provides funding for capital campaigns and special projects in communities where the company operates. The Foundation concentrates its community support in several areas, including: conservation and environment; early childhood education; empowering families and individuals for success; and health. For further information please contact: Angie Hoschouer, Woodland Arboretum Foundation, [email protected]; and/or Elizabeth Olmstead, James M. Cox Foundation, [email protected]. 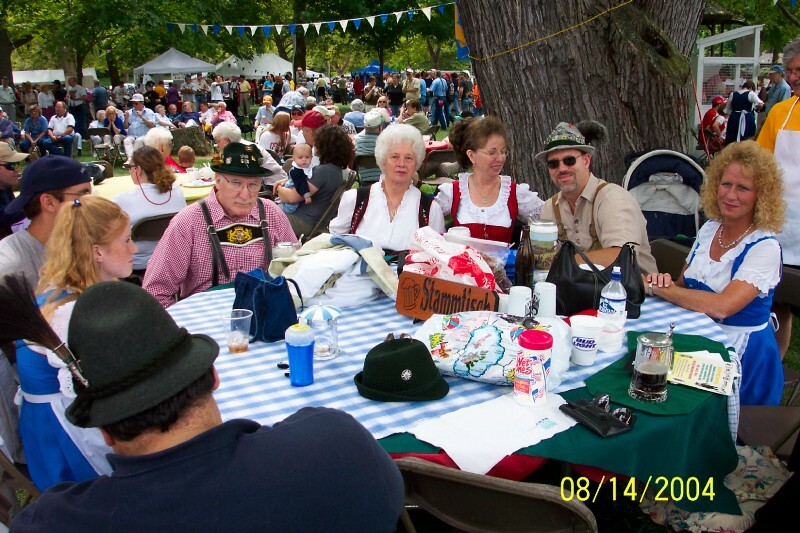 Enjoying the beer, food, music and fun at the German Picnic in 2004. Photo by Theresa Gasper No clue who the people are! How else do you describe the actions of the President & CEO of a venue that has been home to a festival for more than 30 years. With no phone call, no advance notice, no hint as to the park’s intent to host its own 10 day event on the dates the GermanFest has used every year (the second weekend of August) for 33 years, the Dayton Liederkranz Turner’s picnic chair literally received a “Dear John” letter. 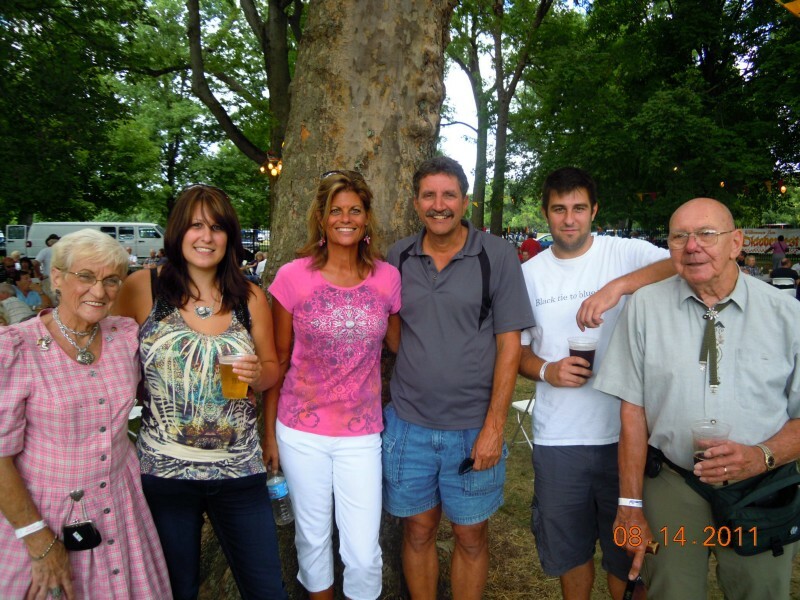 Full disclosure: My mother, Wanda Wiedman, started the German Picnic 34 years ago. It has grown into one of the area’s premier festivals and is typically thought of as the kick off to festival season. With the exception of a couple of years at the Montgomery County Fairgrounds, it has always been at Carillon Park. The first year there were 400 people, recent years have probably been closer to 50–75,000. 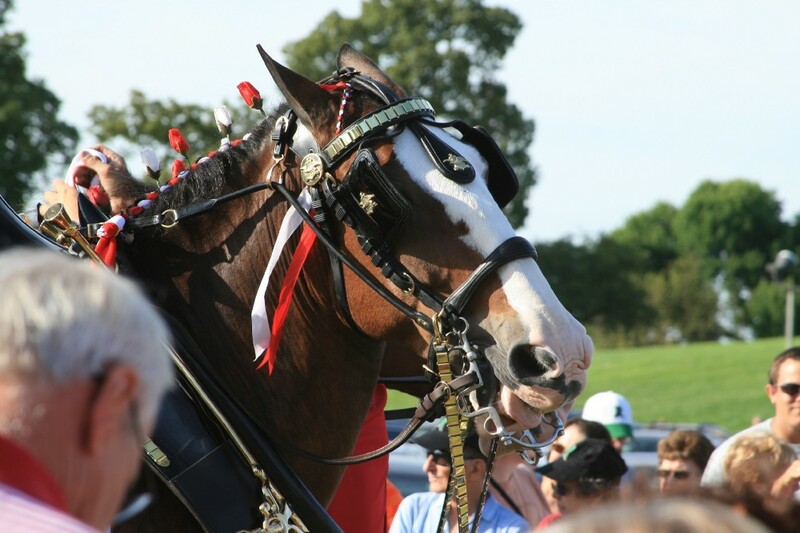 The crowds are always huge when the Clydesdales are in town. The crowd checking out the Clydesdales at the 2011 GermanFest Picnic in Carillon Park. Volunteers frying up Trudy’s Schnizel. I cannot begin to count how many schnitzel I fried, volunteers I recruited, beers I drank, tables I broke down (not because of the beer, but as part of the clean up), etc over the years, but it doesn’t begin to compare to all the work done by people like my mother, John, the Sagassers, Trudy and countless others. Many of the volunteers have worked every one of the 33 years and are now in their 80s or beyond. Three generations of my family enjoying the picnic in 2011. And Carillon Park benefited nicely from the arrangement with electrical upgrades, as well as a lot of foot traffic and exposure. For as long as I can remember, the German Picnic attendance numbers were included in the park’s attendance numbers and helped them receive many grants over the years. The park has changed with recent growth under Brady’s tenure, but the picnic has adapted. But what changed more than anything were the rules of the game. One of the first things that changed was a park fee — $5000 back in the day, which I know because my husband and I covered it for a few years as a gift to the Club. 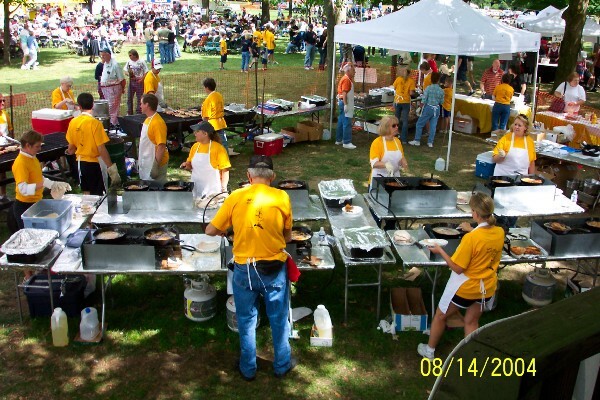 When they tried to jack it to $10,000 the picnic moved to the fairgrounds for a few years. It wasn’t the same to be honest. Then Dayton History was trying to get the beer & food revenue. I’ve been out of the loop for the past 10 years, so I don’t have details of the current extortion rates, but I have a hard time believing that the arrangement was not financially beneficial to Dayton History. Read Brady’s quote above and tell me that doesn’t smack of ego, power and greed. We’re not talking about rival businesses here, we’re talking about non profits putting on a community festival. This isn’t an idea Brady Kress or the Dayton History Board of Trustees just came up with. You don’t come up with a 10 day festival within 24 hours of notifying your “partner” that you no longer find it financially beneficial to work with them. So here we are…the Club is now scrambling to find a venue with 8 months to go; Dayton History will do its own thing; and a lot of people in the community are upset with not just the decision but the way it was handled. What can you do? You can start by sending Brady Kress an email and letting him know how you feel about the picnic and the handling of this matter. 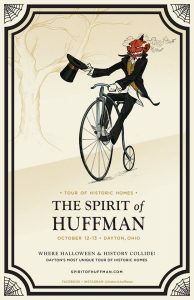 You can also support the Dayton Liederkranz Turner by attending their events in St Anne’s Hill Historic District. There is a Schnitzel Dinner on Saturday January 14th — and trust me, the one thing you will NOT get at the ten day festival replacing the GermanFest is Trudy’s Schnitzel. I won’t presume to tell you not to attend the Dayton History event in August, but assuming the GermanFest Picnic can find a suitable venue, I hope you will indeed support it. For 33 years it’s been the 2nd weekend in August. Who knows where or when it will be this year, if at all.